Thomson travelled and photographed in the Far East for several years before opening a studio in London in 1875. 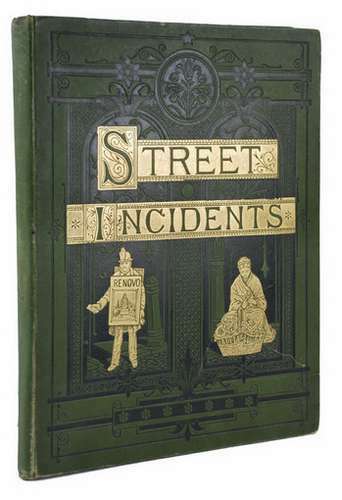 Two years later he collaborated with the left-wing journalist, Adolphe Smith, on a study of some of the poorer inhabitants of the London, which was published as a part-work in 1877-8 under the title, Street Life In London. In terms of the history of photography, Street Incidents is highly significant because it was the first published collection of social documentary photographs anywhere in the world. Opinion at the time was divided about its merit either as art or as propaganda, and there may well have been some disagreement between Thomson, the artist-photographer, and Smith, the radical socialist writer, about the content of the photographs.